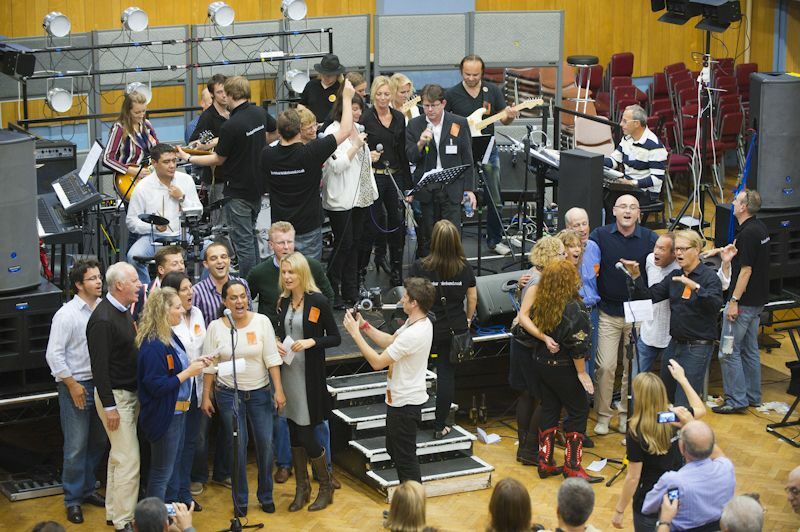 On Friday September 24th 2010, 100 delegates from ComVort, an international group of owner-operated advertising agencies gathered at Abbey Road Studios for the ultimate team building day – rock school, to learn, play and record at the world famous studios, which doesn’t open its doors to the public. Taking to the task with relish they spent the afternoon learning 3 different tracks, which were performed and recorded, after a well-earned break for dinner, followed by the opportunity to perform with and be entertained by the rock school band, and their own house band – The ComVorts. When they departed for all parts of the world on Sunday 26th they took with them the recorded CD package, and memories they will never forget. Following in the footsteps of generations of legendary artists, performing and recording a song at the world- renowned Abbey Road Studios is an awe-inspiring experience. Made famous by The Beatles’ album of the same name, Abbey Road is at the heart of the British music industry and the location of countless landmark recordings. It remains one of the most technically advanced recording and mixing facilities in the world. “Hainesnet now offers its clients the once-in-a-lifetime opportunity to perform and record a song in the very same studios used by many of the world’s greatest musicians, including The Beatles, Pink Floyd, Cliff Richard and Oasis,” says the company’s director, Philip Haines. Recently appointed by Abbey Road Studios as a preferred supplier of ‘record a song’ experiential team building days, Hainesnet is working in partnership with production company Stiff Promotions to offer a truly unique experience, tailored to each client’s individual requirements. “To be able to play at Abbey Road Studios was an opportunity simply too good to miss,” says Jonathon Hall, a partner at London-based advertising agency The Ad Store. 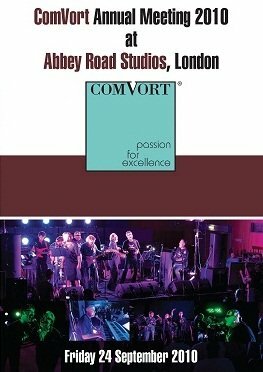 “It’s a global icon – the UK’s number one recording studio and the spiritual home of so many great bands.” When Jonathon was asked to host the annual conference of ComVort – a global network of owner-managed advertising agencies – he brought in Hainesnet, who had pitched the concept of the ultimate team building event at Abbey Road Studios as part of the conference for 100 delegates from 55 agencies, and 33 countries. Guests are able to choose between a range of instruments, rock choir or lead vocals, with professional musicians and singing coaches on hand to provide tuition in small groups. Parts are carefully arranged to cater for all abilities, so that even those who have never sung or played an instrument before can take part in the final performance. “It’s a very special and unique experience,” says Kerin Purcell, Head of Brand and Marketing at Abbey Road Studios, “to be recording a song in the most famous recording studios in the world, working with the best engineers on the best equipment, in wonderful acoustic rooms.” As well as memories to last a lifetime, each guest receives a CD of the recording they have made. 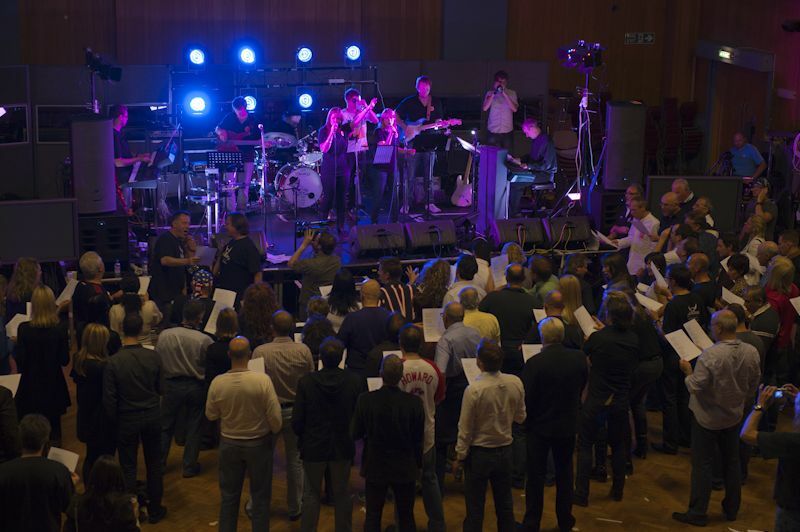 As preferred supplier of Abbey Road Studios, Hainesnet delivers the ultimate team building event, allowing participants to perform and record a song in the world-renowned Abbey Road Studios. A truly iconic symbol both in the British and worldwide music scene, Abbey Road Studios have been at the heart of the UK music industry for more than 80 years and home to countless landmark recordings and pioneering advances in recording techniques, equipment and technology. This is a fantastic and unique experience – available to all, even those with no previous musical experience. Playing in a band is a uniting experience that not only requires close team work but also through performance creates a level playing that will break boundaries, encourage fun and develop confidence and group interaction. The teachers have a wealth of experience in private lessons, schools and further education, and also playing as a band for such clients as Cadbury, Epson and Sega. This experience allows the band members to teach effortlessly and with clear direction. The day is split into two sections – instrumental tuition and then group rehearsal and performance. Times can be flexible but as a guide, introduction/instrumental tuition 14:00- 16:00, rehearsal/performance 17:00 – 20:00. The instrumental tuition will take place in groups split by instrument (drums, bass, guitar, keyboards and vocals) and the tutor will offer an introduction to the instrument/music notation, followed by one-on-one guidance on the parts required for the performance. 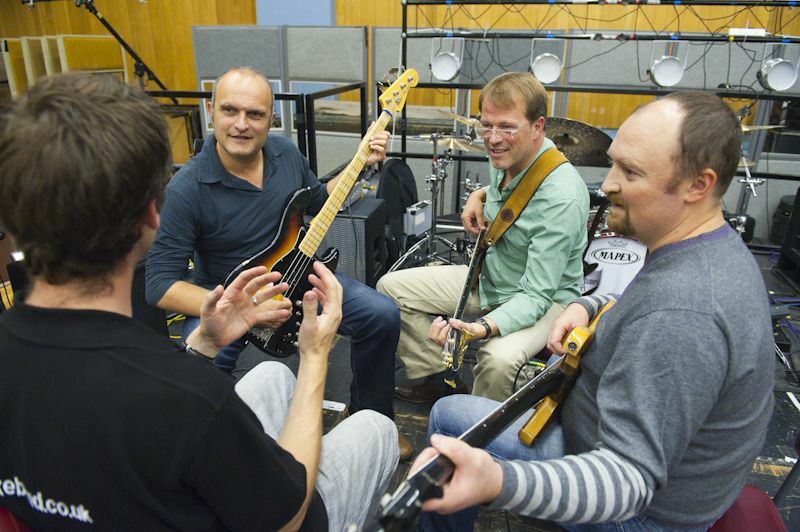 The rock band experience is supposed to be enjoyable, fun and inclusive so a relaxed and welcoming approach is adopted by the tutors throughout. The songs for the band to perform are carefully chosen and arranged to allow complete beginners the opportunity to learn simple parts that contribute to the band performing an authentic version of a pop classic. The audio for the performance can be recorded and presented back on CD as a record of the day. Live Karaoke Band in the evening – this offers your participants the chance to perform on stage with a top professional fully live band. The show comes complete with top quality PA, stage lighting, sound engineer and an immensely talented and experienced singer/compere who leads the show and is on hand to help prompt guest singers if needed. In short we tailor the day to meet your own objectives from the event.